Your style and digital life right on your wrist. 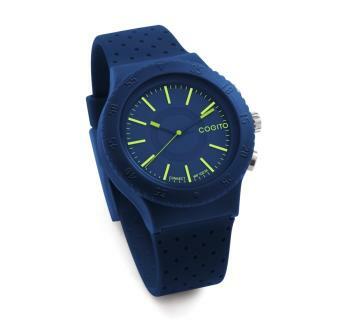 Cogito Pop merges classic analog movement with LED icons giving you the best of both worlds; tech and fashion. Combining fun and functionality it is the perfect connected watch designed specifically to fit your active, social lifestyle. LED icons on the watch face can alert you of incoming calls, emails or Social Media notifications including Facebook, Twitter, WhatsApp, Instagram and more. Using our Connected Watch app you can manage not just your notifications, but also remote control your camera, music and find your phone. 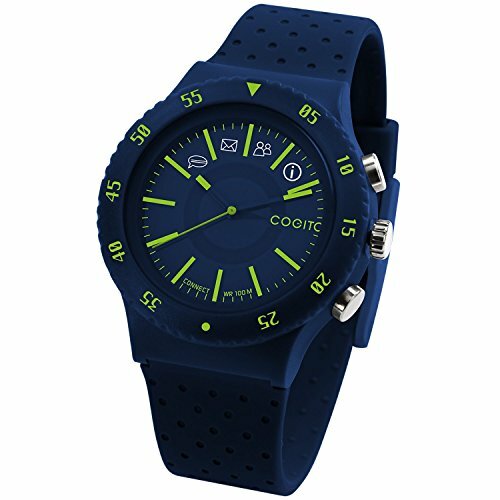 The Cogito Pop connected watch uses Bluetooth 4.0 LE wireless technology and is compatible with the latest Bluetooth Smart Ready devices. Such as, iPhone 5s, iPhone 5c, iPhone 5, iPhone 4s, iPad mini, iPad (4th & 3rd generation), iPod touch (5th generation) running with iOS 7 platform Samsung Galaxy S3, S4, S4 Mini, S4, Active, Note 3, Note 2, and HTC On which running with android 4.3 or upwards More devices will be announced in the near future. Features may vary depending on version of operating system and device. Customize the notifications you want to receive in your watch through the Connected Watch App (Calls, Missed Calls, SMS, Emails, Calendar, Reminder, Low Battery and your favorite Social Media Alerts). Cogito Pop will alert you when you get apart from your smartphone or if you can't find your phone around the house or car it will also help you find it. Cogito Pop's battery lasts up to a year, when necessary, you can easily replace it. Shock and Water resistant 10 ATM. Press a button on your Pop watch to Play/Pause, Skip or Stop your Music Player without having to reach out for your phone. Please click on the image to the left to look at the compatible devices before purchasing the Cogito Pop. Up to 1 year of battery life! Notifications by icons on watch dial, buzzer, and vibrations. If you have any questions about this product by COGITO, contact us by completing and submitting the form below. If you are looking for a specif part number, please include it with your message.